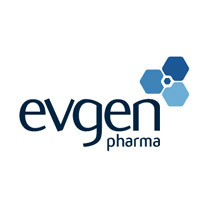 Evgen Pharma PLC (LON:EVG) Chief Executive Officer Dr Stephen Franklin caught up with DirectorsTalk for an exclusive interview to discuss the interim update on their STEM clinical trial. Q1: We saw the announcement of your preliminary results today, but the most important aspect must surely be Evgen Pharma’s interim update on the STEM clinical trial which was announced just this Monday. Can you remind us what the STEM trial is and its objectives? A1: Of course, STEM stands for SFX-01 in the treatment and evaluation of metastatic breast cancer and it’s a Phase II open label trial, that means there’s no placebo arm and it’s on a maximum 60 patients. These patients have advanced metastatic breast cancer so secondary tumours in parts of the body such as the brain, the bones, lungs and liver but most importantly, they have become resistant to their hormone therapy and they have had confirmed progressive disease i.e. their tumours are growing when they come onto our trial. This is sometimes referred to as the salvage setting as all hormone therapies have failed, their disease is progressive, and patients only have chemotherapy left as a means of potentially extending their survival. Our objective was two-fold really, as SFX-01 had previously only been dosed to healthy human volunteers for up to 7 days, one objective was to get meaningful safety and tolerability data for extended dosing of SFX-01, ideally, weeks to months. Secondly, whilst a very high hurdle, another objective was to see if we could see any signal of efficacy knowing that this would tough in the salvage setting. However, if we could show a positive signal then that would be very encouraging, and one could argue would bode well for future trials where patients are not as advanced. Q2: You mentioned that you did an open label trial as opposed to a randomised double blind trial, why was that? A2: That’s a good question and we considered both approaches. So, in this salvage setting where one is looking to see if hormone therapy resistance can be reversed, you can only do an open label trial and the reason is it would be unethical to have a placebo arm where a patient is being kept on a failing therapy for a sustained period of time, especially when they have other options such as salvage chemotherapy. So, the real question is why did we not elect to do a randomised double blind placebo-controlled trial with hormone therapy de novo? De novo is when a patient goes on a new hormone therapy for the first time and so in a trial they can either have the new hormone alone or they can have the same new hormone with an experimental drug on top to see if it can extend the period of time that the new hormone works before they become resistant to it. This is clearly a lower risk proposition in the salvage setting and this is where most of the clinical trial is, for that reason. Now, there were two reasons at the time, back in 2015, why we thought that approach would not be so smart. Firstly, the CDK4/6 inhibitor palbociclib was being widely tested in first line therapy with hormone therapy de novo and competition for patients was fierce and we simply did not know how that clinical trial would read-out and its impact on the landscape. Secondly, we had no rationale reason to select any one type of hormone over another and so our preference was to test SFK-01 on all-comers basis to see if efficacy was present or stronger with one particular type of hormone albeit a failing hormone. So, of course, the next trial will be a randomised double blind placebo-controlled trial, but the difference is we will have data on SFX-01 with different hormone therapies and we now fully understand the real world impact that palbociclib has had since its approval. On this basis, we have a much clearer vision on where SFX-01 must make its first point of entry to exploit its potential commercial and competitive advantage. Q3: The interim update for Evgen Pharma itself, what were the headlines for the update on STEM? A3: So, number one, we are seeing that SFX-01 is well tolerated and with no safety issues, certainly in comparison to the likes of the CDK4/6 inhibitors which do have material toxicity issues, we don’t see anything like that so that’s great news. Number two, we have a signal of efficacy even in this salvage setting which has excited the clinical investigators so in short, 4 out of the first 20 patients had their disease stabilised having come onto the trial with progressive disease, not only that but it was stabilised for the full 6 months of the trial and a further 2 patients got out to 18 weeks. So, you’ve 6 patients there responding out of the 20, 4 all the way to 6 months and 2 through to 18 weeks but most importantly, from a clinical perspective, 2 patients demonstrated tumour shrinkage at one of their scans. So, it should not be forgotten that courtesy of the compassionate use programme, 2 patients have also got to the 1 year anniversary of stabilised disease on SFX-01 and one of these is still on the drug to this day so that’s very encouraging as well, the fact that we have 2 patients that have gone a full year with stabilised disease. So, in summary, if this pattern was to continue to the end of the trial, we would meet our clinical benefit target. Furthermore, the landscape has moved on and we now have visibility over a clear market opportunity for SFX-01 following the inevitable resistance to the CDK4/6 inhibitors but still in a de novo setting where we combine SFX-01 with second line hormone therapies after the CDK4/6 inhibitors.